The Rebellion of the 9th Earl of Argyll, 1685. Archibald Campbell, 9th Earl of Argyll , son of the Marquis of Argyll executed in 1661, came to notice of the government through his objection to the “ Test Act “ of 31 August 1681. This imposed another Oath on the people of Scotland ( but excluded the King`s brother and sons ) and was of itself a contradictory document. In essence it repudiated the Covenants, acknowledged the King`s supremacy in civil and ecclesiastical matters and promised passive obedience at all times. In other words acceptance of slavery, a total acceptance of an autocratic King who could do whatever he wished .This outrageous Act and an earlier Act which declared that difference of religion could not forfeit succession ( the Duke of York was Catholic) were spoons to stir the pot of discontent. Argyll protested at the exception of the royal families exclusion from the Test and held the view that they were a potential source of danger. He took the Test but qualified it by declaring a clause “ as far as it is consistent with itself and the Protestant religion. “ He was promptly imprisoned in Edinburgh Castle and charged with treason and perjury. At his trial in December he was sentenced to death. He escaped from Edinburgh Castle in dramatic fashion by exchanging places with a servant accompanying his step daughter Lady Sophia Lindsay who came to visit him. Argyll was then chaperoned under the name of “ Mr Hope “ by William Veitch to London. This complicity was not forgotten in 1685 when a landing by Argyll was expected. On 17 May 1685 the Countess of Argyll, son James, Lord Neill and Lady Sophia Lindsay were secured in Edinburgh Castle. At the same time Fountainhall records that sundry burgesses were also secured. In England the Duke of Monmouth, illegitimate son of Charles II, Lord William Russell, Lord Essex and Sir Algernon Sydney were conspiring to change the succession – to exclude the Catholic James, Duke of York, succeeding to the throne. They corresponded with Argyll now in exile in Holland and had seemed to have had counsel with leading Presbyterians, William Carstares and Robert Bailie of Jerviswood, to gauge the feelings of Scotland and its people. Carstares favoured caution and Baillie was for action forthwith. But the Scots deferred their action while the English spawned the Ryehouse Plot, to murder the King and the Duke of York. In April 1685 Argyll and three small ships, the Anna, Sophia and David loaded with arms and munitions set sail from Holland. However, they went too far North and touched land in Orkney where two of the party, William Spence and William Blackader ( son of John ) were put ashore to gather information. They were quickly seized by royalist troops and the ships sailed on to Campbeltown, in Kintyre. They found only a tepid support and suffered the misfortune of losing their munitions and arms to the English who had seen them being stored at an old fort at Eilean Gheirrig. Argyll wanted to take decisive action and to march on Glasgow but was overruled and the forces were divided with Sir Patrick Hume and about five hundred soldiers reaching Kilpatrick in June 1685. But Argyll had set out for a friends house the night before and was subsequently captured at Inchannan, near Paisley, by two servants of Sir John Shaw of Greenock and assisted by a local weaver. He was soon in Edinburgh Castle and on 30 June 1685 lost his head to the “Maiden “, as had his illustrious father in 1661. One consequence of Argyll`s attempt at rebellion was the incarceration of 167 Presbyterian prisoners in Dunnottar Castle because they might have supported him. In the August of 1685 some were released on giving an oath of allegiance and bond for good behaviour ; the remainder were sentenced to transportation. In Ayrshire and the south west during April 1685 George Barclay sought to preach up support for Argyll with little success. There was little support for Argyll`s rebellion from James Renwick and the Society People or Cameronians. Argyll himself had not been a particular friend to them. Between 1663 and 1681 he had been a member of the Privy Council including that which sentenced Donald Cargill. Although Renwick had sympathy with the aims because it was against Papacy , it was otherwise not consistent with aims of the Covenants; contained no reference to the Covenants and Presbyterian government; and it opened the door to charges of confederation with malignants. There was some odium attached to the Scottish churchmen who had been involved in the wider issue of the Earl of Argyll`s plans and William Carstares, and Robert Baillie of Jerviswood were obvious targets for inquiries about the doings of Monmouth, Russell and Sydney. Carstares was cruelly tortured with the thumbkins for over an hour and a half and his testimony was used against Baillie even though a promise had been given that anything he said would not be so used. 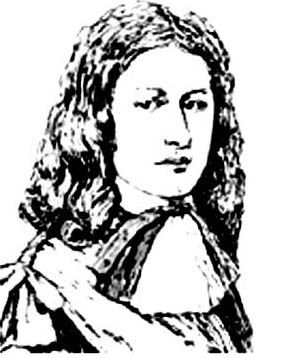 Baillie, already a very sick man and dying, was executed for his alleged, but unproven, involvement in the Rye House plot on 23 December 1684. There is suggestion by Howie in his Scots Worthies that James Renwick might have been in the know about the plot as he was returning from Holland about that time. It is possible that Renwick might have encountered the Earl of Argyll and his supporters in Holland but Howie`s inference seems to be because the ship Renwick was travelling on stopped at Rye harbour, in Sussex – which is nowhere near Rye House in Hertfordshire. There is a school of thought that the Society people were approached to support the Argyll rebellion. Renwick himself was too canny for such action and disassociated himself and the Societies from it – even though the objectives would have suited their ends. An interesting suggestion in Thorbjorn Campbells “ Standing Witnesses “ is that there may have been an agreement with the Society People not to assist Argyll`s venture as, coincidentally, the Killing Time came to an end quite suddenly at that time.